The Toronto Real Estate Board just released January 2013 data and below is a sneak peak. 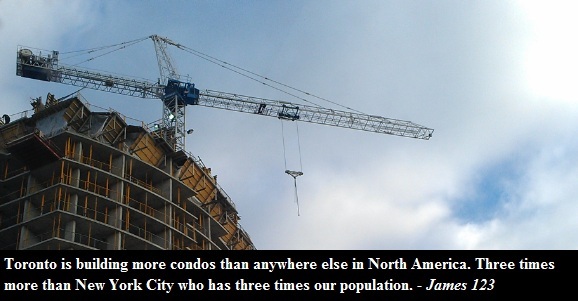 The average price of a condo apartment in the City of Toronto is $340, 295, which is down 1.3% from 2012. 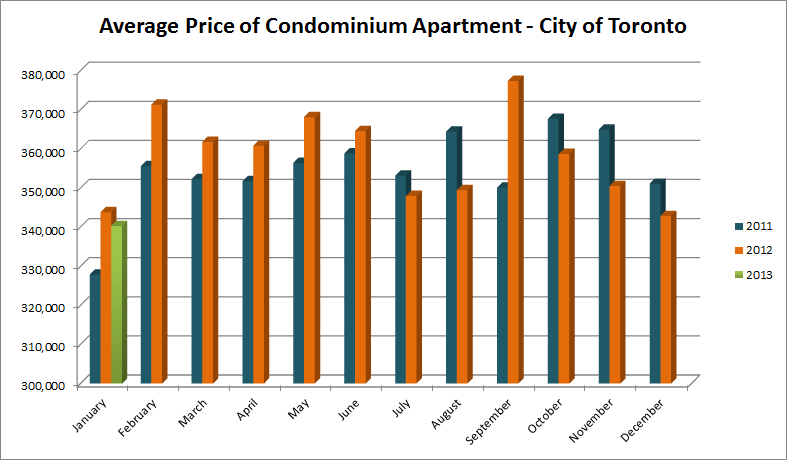 In central Toronto areas, prices went down by 3%. 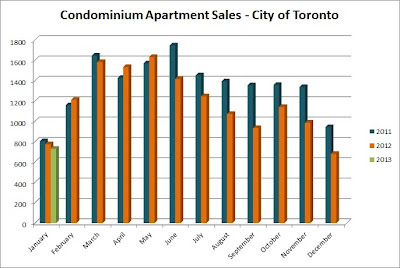 In total there were 730 sales, down from 775 in January 2012. Active listings went up by 28% from a year earlier. Below are updated graphs. 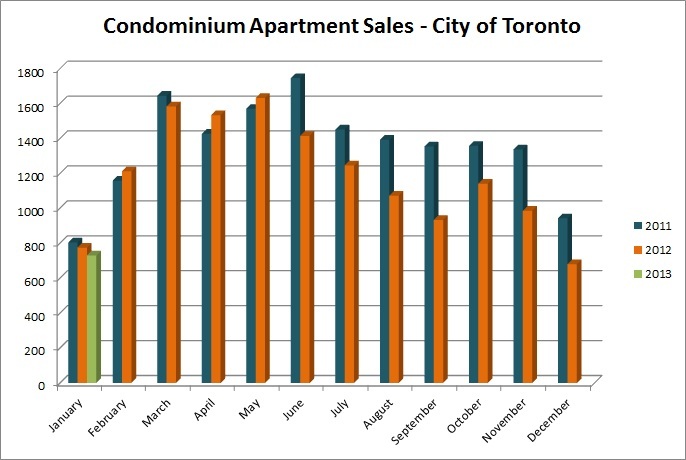 Update: TREB reported that the condo sales went down by 4.5% in City of Toronto while the number I got from my calculations was sales down by 5.8%. (730 sales in Jan 2013 vs 775 in 2012). Both numbers are from archived Market Watch, so unless TREB made adjustments to their data without modifying their archives, their reported number is incorrect.